The Washington state House of Representatives recently passed provisions that broaden the protections of the federal Servicemembers Civil Relief Act (SCRA). House Bill 1056, which passed unanimously, has a similar version, Senate Bill 5041, for the Senate’s consideration. The proposed legislation would permit the servicemember to terminate or suspend additional types of contracts beyond those already covered by the SCRA, without penalties or fees. New areas covered include internet services, gym and health club memberships, cable TV and satellite radio services. The federal SCRA covers active military members, but the National Guard service has its own nuances. The federal SCRA only protects those members of the National Guard under a call to active service authorized by the president or the secretary of defense for purposes of responding to a national emergency declared by the president and supported by federal funds. (Neither the DMDC nor the SCRA reports service periods of less than 30 days or call-ups by a governor). In 2005, Washington state enacted its own version of the SCRA known as the Washington Servicemembers’ Civil Relief Act. In addition to federal protections, the state version protects National Guard members whom the governor may have called to duty. Courts are now required to grant a 180-day stay after the person leaves military service if the court finds that there may be a defense to the action and the defense cannot be properly presented without the person, or if an attorney appointed to represent the person is unable to contact the person or determine if there is a meritorious defense. 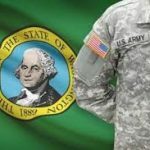 The Washington State SCRA period of protection against foreclosure actions after termination of military duty is 180 days. But the federal version, at the time of this article, was only 90 days. The attorney general’s office has also produced a legal resource guide. 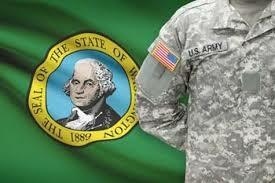 This guide outlines the combined federal and Washington state protections for servicemembers. The state law also provides penalties for false statements included in military affidavits. It is a class C felony to make or use a military affidavit, knowing it to be false. Neither the Servicemembers Civil Relief Act Centralized Verification Service (SCRACVS) nor the DMDC can confirm military service of a National Guard member called up for duty by the governor (as opposed to by the president). This is because the state duty is not reported to the DMDC. Nevertheless, the need for securing a military status verification is obvious. This information is quickly and economically available through the SCRACVS. The first step in any litigation, forfeiture, eviction, collection or contract enforcement action is to find out the person’s military status. Protect yourself by obtaining a military affidavit through the SCRACVS.